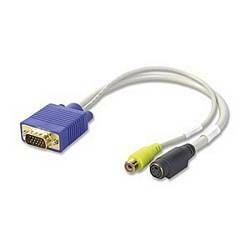 This adapter is used with certain PC video cards that provide analog video-out. Requires a video card that can output analog NTSC video through a 15-pin D-sub port. Please note that most video cards do not support this feature. Check the documentation that came with your video card to see if this adapter is compatible.